Mederma? 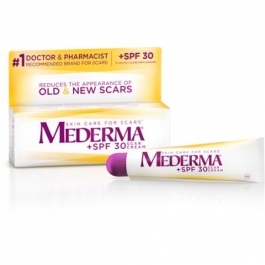 Cream should be evenly applied and gently rubbed into the scar 3 times daily for 8 weeks on new scars, and 3 times daily for 3-6 months on existing scars. Children under 6 months of age: ask a doctor.